Miss Ecuador is the annual national beauty pageant of Ecuador responsible as of now to select country's representatives to Miss Universe, Miss International, and Miss Supranational pageants. Miss Ecuador pageant commenced in 1955, when Leonor Carcache Rodríguez became the first ever Miss Ecuador and went on to represent Ecuador at Miss Universe 1955. Since 1955, the pageant has been held annually with representatives from several provinces that make up Ecuador competing for the title of Miss Ecuador. The winner of the national pageant represents Ecuador at Miss Universe, the first and second runner-up respectively go on to compete in Miss International and Miss Supranational. The organization Miss Ecuador also selects and sends representatives to several other international pageants like Miss Grand International, Miss Intercontinental, Miss Tourism Queen International, Reina Hispanoamericana, Miss United Continents, Miss Globe International, Miss Bikini International, Miss Tourism World, Reina Nacional del Café, and several other international & regional pageants. The Miss Ecuador organization also used to send representatives to Miss World, however since the year 2013 a separate national pageant is being held to select Ecuador's representative for Miss World. While Ecuador has never won any Miss Universe or Miss World title till date, though it won the Miss International crown once, when Maria Fernanda Cornejo was crowned Miss International 2011 at the finals of the international pageant held on November 6' 2011 in Chengdu, China; and Miss Earth 2016 crown when Katherine Espin was crowned at the finale held in the Philippines. Daniela Cepeda was crowned as Miss Ecuador 2017 at the conclusion of the magnificent finale held on 22nd April 2017. 21 year old Cepeda succeeds Miss Ecuador 2016 Connie Jiménez, and will now represent Ecuador at the Miss Universe 2017 pageant. Miss Ecuador 2016, the 62nd edition of Miss Ecuador pageant, was held on March 12' 2015 in Guayaquil, Ecuador. Connie Jiménez was crowned as Miss Ecuador 2016. Miss Ecuador 2015, the 61st edition of Miss Ecuador pageant, was held on March 14' 2015 in Guayaquil, Ecuador. Francesca Keyco Cipriani Burgos from Guayaquil was crowned as Miss Ecuador 2015 at the conclusion of the grand finale. The reigning Miss Ecuador is Alejandra Argudo from Manabí, who was crowned Miss Ecuador 2014 on March 15, 2014 at the finals of the 60th edition of the pageant. 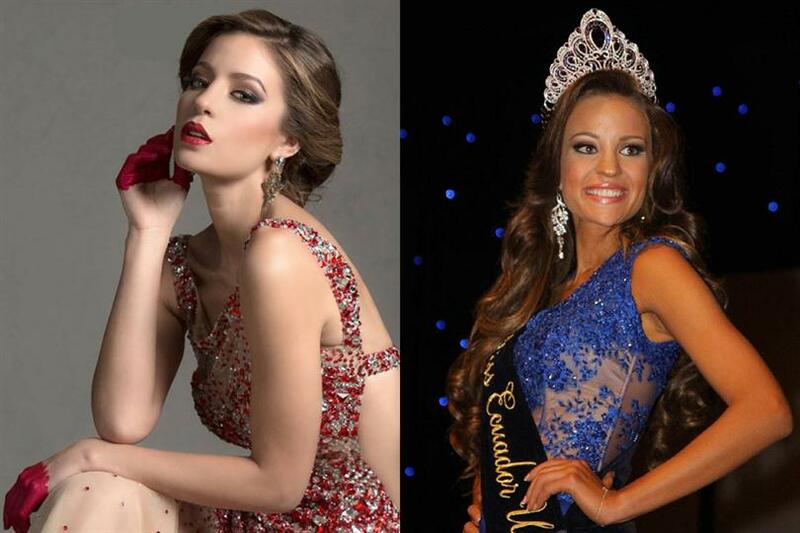 The Miss Ecuador 2015 finals are scheduled for March 14' 2015.